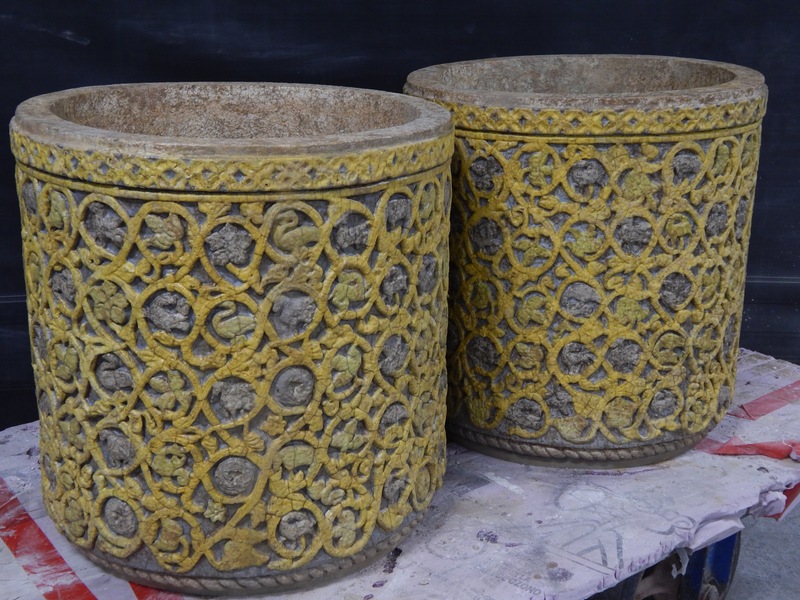 The pair of ornamental terra cotta pots were covered in an intricate relief design of curling vines and animal motifs. 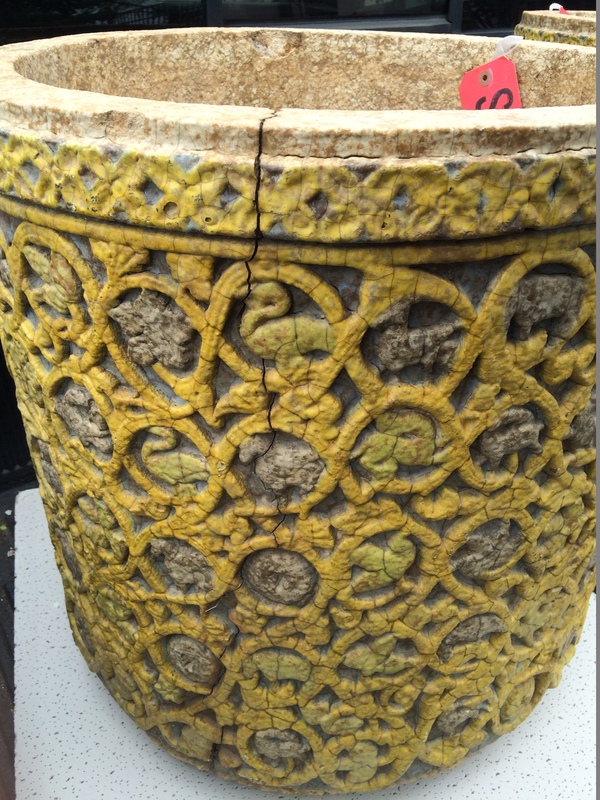 Each pot had a significant vertical crack that threatens their structural integrity and potential utility. 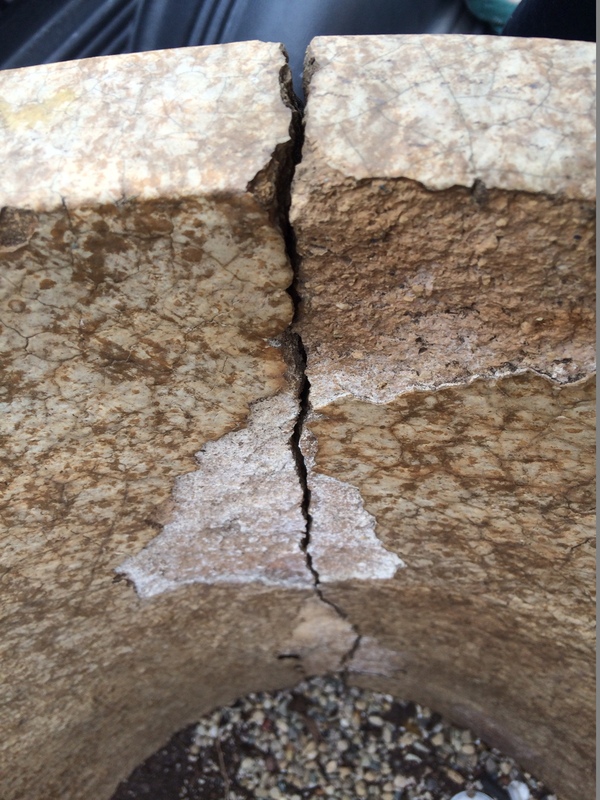 The cracks have been repaired by an experienced conservator using materials specifically formulated for historic masonry and terra cotta.